How Can Western Herbal Medicine Help You? Western herbal medicine is a complementary medicine based on the use of herbs found predominantly in Europe and the United Kingdom. It is based on the understanding that your body has its own in-built healing system which sometimes needs a little nudge by introducing appropriate herbs in the form of teas, alcohol-based tinctures, creams or capsules. Herbal medicine does not focus on moderating symptoms but seeks to address the underlying cause. For example, in the case of the common cold, rather than dampening down symptoms, the herbalist may prescribe anti-viral herbs which have the added benefit of gently increasing the body’s internal temperature; thus creating an environment that is not conducive to the spread of viral pathogens. This system of healing does not seek to replace orthodox medical care but is a useful complement to allopathic medicine; and is particularly useful for minor illnesses, chronic conditions and transitioning conditions such as menopausal change and premenstrual tension. Most pharmaceutical drugs are based on recreating a copy of a particular chemical. The American Herbalists Guild estimates that in 1987 85% of modern drugs were originally derived from plants. Currently, they estimate this at 15% of drugs that are derived from plants. The difference is that just like us, plants are complex. This means that they come packaged with a number of chemicals that support and enhance each other. They offer the opportunity to prescribe complex solutions for complex problems. A number of studies have been conducted on individual herbs, allowing us to understand their unique plant chemistry and the potential role they play in facilitating healing. For example, research conducted on White Willow (Salix alba ) found it contained a chemical known as salicin which converts to salicylic acid in your body, and is able to reduce pain and inflammation without the gastric upset that is associated with some non-steroidal anti-inflammatory drugs. This is because it utilises a different pathway in the body (COX-2 rather than COX-1). 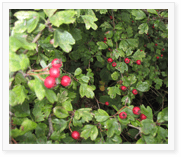 Studies conducted on Hawthorn (Crataegus laevigata) have reported positive cardiac effects after 12-weeks whereby the heart beats more strongly and less quickly. Of course, not all herbs have been subjected to this degree of scientific scrutiny but more and more studies are confirming the observations of herbalists. I chose to become a science degree qualified herbalist because I am interested in that place where science and nature meet. As such, I endeavour to use herbs that are supported by a strong evidence base, organic wherever possible and subjected to rigorous quality controls. Please note: Tracy is a Medical Herbalist and a Stress Therapist, not a Doctor. 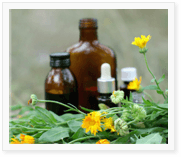 The law currently classifies medical herbalists as complementary therapists. For the avoidance of doubt, whilst Tracy does support people who may happen to have a medical condition, Tracy does not treat medical conditions. What Happens in the Herbal Medicine Consultation? The purpose of the consultation is to gather information to allow the most appropriate herbs to be prescribed. 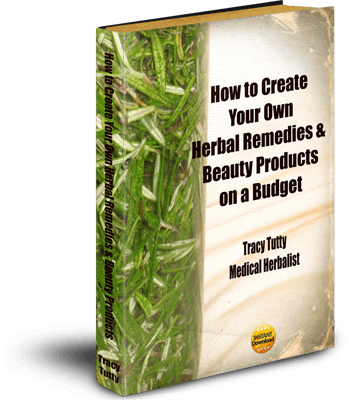 Because of this focus, your herbalist will ask you a variety of questions— from how your condition affects you, through to your diet and lifestyle choices. This is because the herbalist prescribes herbs based on how you are affected by your condition. Western herbal medicine focuses on you, your life at this point in time and you are affected by your condition rather than solely fitting a herb to a pathology.